Largest and Longest Online Brainstorming Session of Concerned Citizens through a Compelling Dialogue and Meditation. “We need to incorporate human values of cooperation, compassion, respect, friendliness and a sense of service into our everyday lives,” said Sri Sri Ravi Shankar, Founder of the Art of Living Foundation. Creating a pivotal moment in history, hundreds of thousands of people from 109 countries joined world humanitarian and peace ambassador Sri Sri Ravi Shankar for a thought provoking session on Saturday, Jan. 26 to discuss how they could play a role in creating a stress-free and violence-free world. Sri Sri called on participants from all nations to work collectively and volunteer an hour every day to raise the happiness level in their society. He urged all participants to take a proactive role in bringing people together by helping them get rid of stress, anxiety and depression to create one world family. 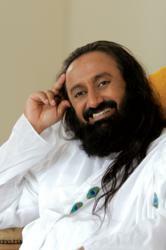 “Hangout with SriSri” is the first virtual event where a diverse group of leaders from politics, religion, art, sports, and journalism representing countries like Oman, Taiwan, Paraguay, Zimbabwe, Slovenia, USA, Italy, Germany, Sweden, Argentina, Israel, India and Pakistan joined hands to get Sri Sri’s guidance on pertinent world issues. In this three hour long session, Sri Sri was quizzed on a variety of questions ranging from secret of health, education, corruption, raising children, managing guilt and anxiety, indecisiveness, freedom, competition, secret of happiness, enthusiasm, managing stress, balancing personal and professional life to invoking courage in youth. Sri Sri Ravi Shankar reinforced the importance of managing the mind and emotions through the use of breath. He plays a key role in conflict resolution spreading his vision of non-violence at public forums and gatherings worldwide. Regarded as a neutral figure with a sole agenda of peace, he represents hope to people in conflict. He has received particular credit for bringing opposing parties to the negotiating table in Iraq, the Ivory Coast, Kashmir and Bihar. Through his initiatives and addresses, Sri Sri Ravi Shankar has consistently emphasized the need for reinforcing human values and recognizing humanity as our highest identity. 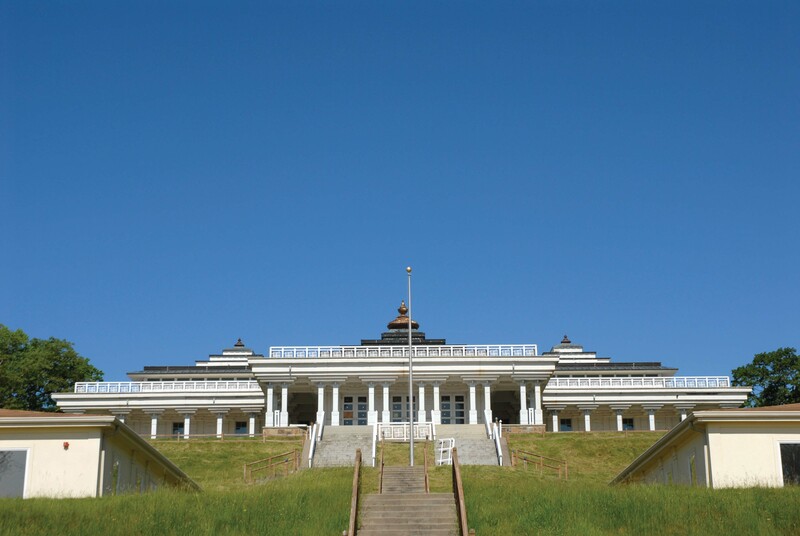 The Art of Living Foundation is a nonprofit 501(c)(3) educational and humanitarian organization founded by spiritual leader and humanitarian Sri Sri Ravi Shankar. Sri Sri’s initiatives have benefited more than 30 million people worldwide. The Foundation is one of the UN's largest volunteer-based NGOs, and works in special consultative status with the UN's Economic and Social Council, participating in a variety of committees and activities relating to health, education, sustainable development, conflict resolution, and disaster relief. For more information, visit artofliving.org.